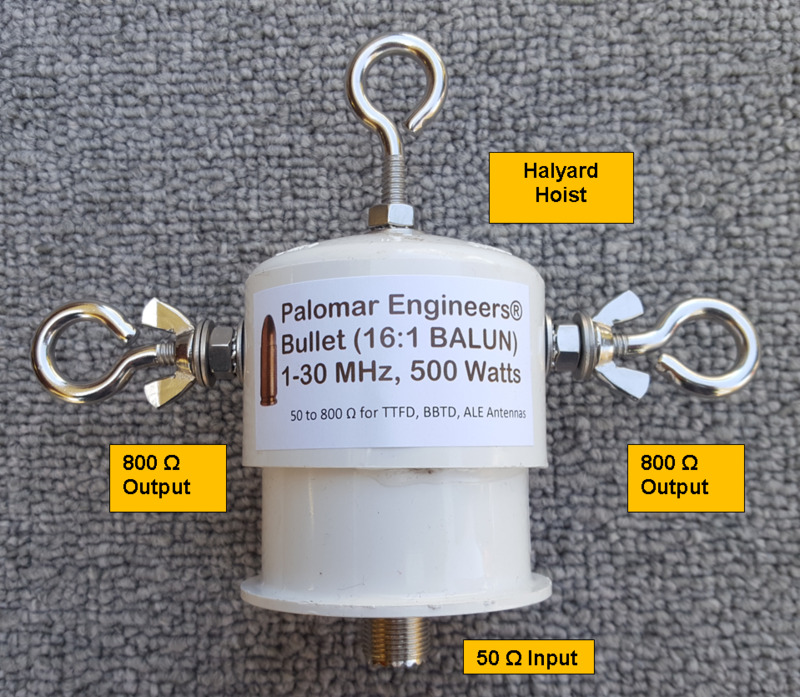 The Bullet-16B is a dual core balun with a compact enclosure (looks like a bullet) enclosure that is lightweight and easy to transport for your fixed/portable ALE, T2FD or BBTD antenna systems. Also useful for low power rhombics and other wire antennas needing balanced 800 ohm output. Halyard hoist at top of balun for convenient attachment point. Input is via SO-239 coax connector and output with side eye bolt output. NOTE: We rate our Bullet baluns (and ununs) VERY conservatively at 500 watts PEP with a 50% duty cycle (FT-8 or CW)). Some manufacturers selling low cost baluns may use a 5% duty cycle for their PEP rating to make it appear you get a higher rated balun for a lower price, but you may in fact be getting be getting less. Their 1500 watts PEP really means 75 watts continuous or 150 watts at a 50% duty cycle compared to our 250 watts at 50% duty cycle. 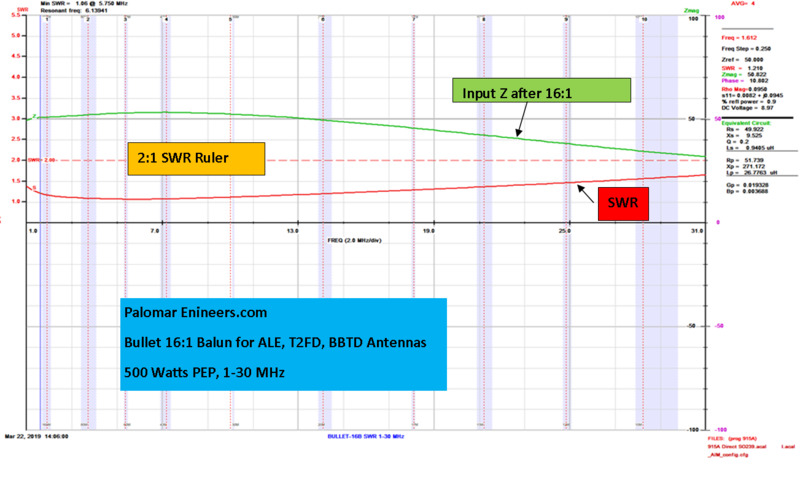 Our baluns typically cover a larger frequency range under 2:1 SWR which make your transceiver happy and probably will last longer with less electrical stress.